Believe it or not, this screenshot is taken from an animated demo sequence on the Sega Mega Drive. 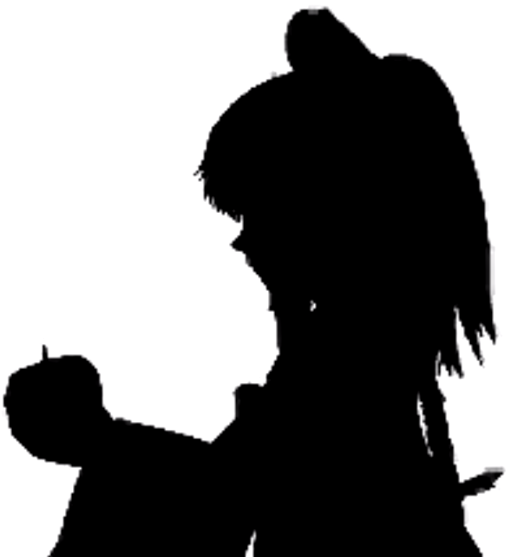 Entitled Bad Apple, and based on the Japanese indy vertical-shooter Touhou, this demo is arguably one of the strongest examples of full-motion video and near CD quality music on the Mega Drive. That’s right, the Mega Drive! In the latest addition to the Mega Drive Unleashed series, MegaBites catches up with Stephane Dallongeville – the man behind not only Bad Apple’s 16-bit Sega conversion, but also a rather special Mega Drive port of a SNES Super FX chip classic. In the great console wars of the early 90s, no fight came as heavyweight as that between Sega and Nintendo. It was Sonic vs Mario, Mega Drive vs Super Nintendo, Mode 7 vs… err… the SVP chip, perhaps? 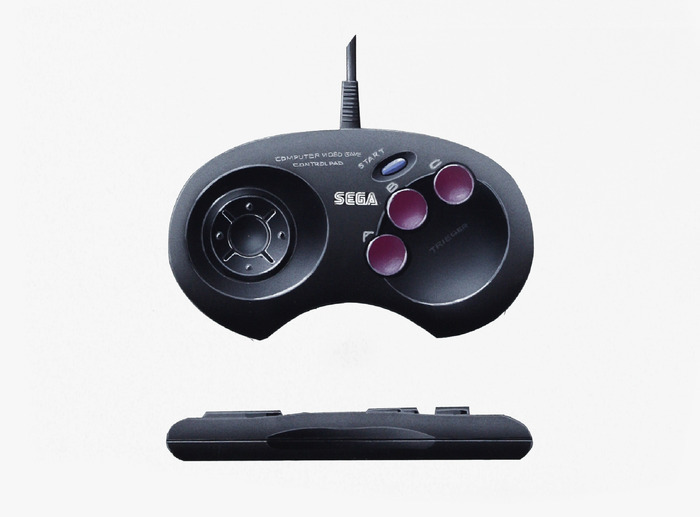 Although the Mega Drive may have struggled to find an answer to the SNES’s graphical capabilities – not that it had a need to – it has recently become apparent that Sega’s 16-bit battler was a far more powerful machine than initially anticipated. In the first in a series of related posts, MegaBites uncovers the modern day pioneers who have discovered new hidden potential beneath the Mega Drive’s shiny back bonnet. First in line is Titan Group, with their incredible 16-bit demo Overdrive. As this humble blog continues to expand its horizons, fans of Sonic the Hedgehog can read the latest episode of MegaBites’ Finding the Hidden Palace on RetroCollect.com. 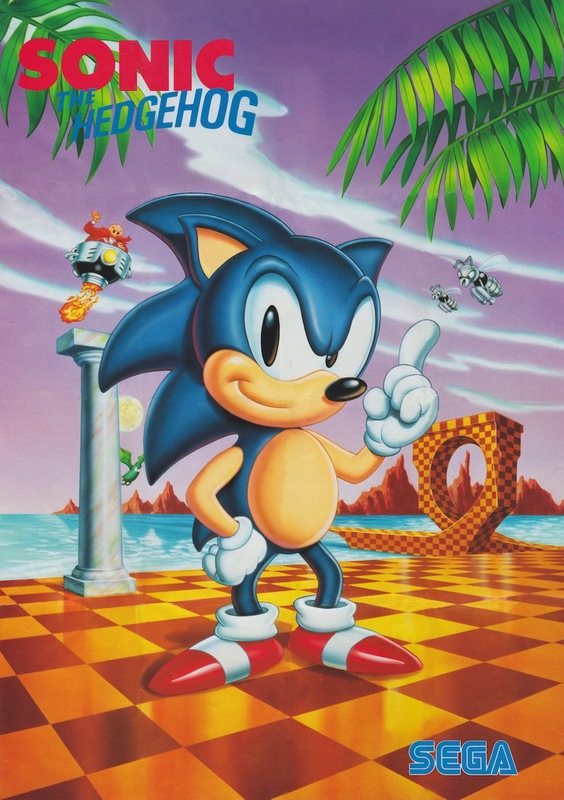 In a continuation of part one’s epic tale, the second chapter in the series picks up from the events following the fabled ‘Sonic2s Day’ – the North American and European release of Sonic the Hedgehog 2. After months of publicity, previews and speculation, the 1992 release of Sonic 2 hailed the release of what is arguably the series’ finest release. 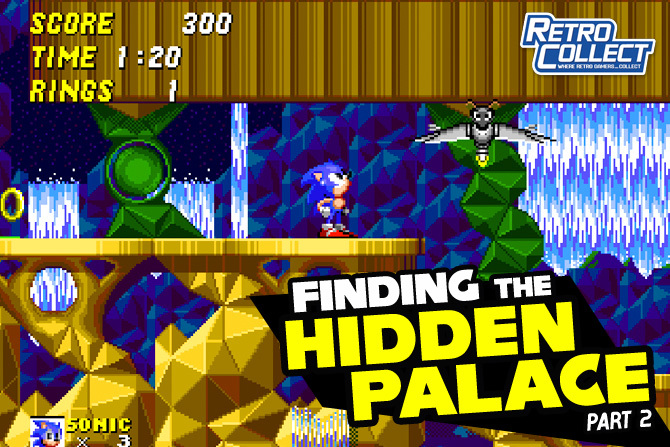 Homing in on the period 1992–1999, part two continues to document the myths, unravel the cryptic clues, and decode the conundrums, behind one of Sega’s greatest hidden enigmas; Sonic 2’s unreleased level – Hidden Palace Zone. It was early 1999 and Canadian Sonic fan Simon Wai embarked on an online Sonic beta hunt. As far back as 1992, in Hong Kong, Simon had been one of the early few to play a black market copy of the Sonic 2 toy show beta. Now, seven years later, he had a renewed determination to rediscover it. Beginning his journey on Chinese ROM sites, Simon soon came upon a lone Geocities page. It was here where he located the rather a inconspicuous file named ‘MD8123.smd’ – uncovering the syntax of which provided valuable insight into the file’s origin and identity. ‘MD’ stood for Mega Drive, ‘8’ represented an eight-megabit file, ‘123’ identified the file as the 123rd in its sequence and the ‘.smd’ extension identified it as a file created by a Super Mega Drive – a piece of hardware with the ability to extract a Mega Drive cartridge to floppy disk. It was only when he came to load the file that its true identity was revealed. Simon Wai’s memories came flooding back in an instant. Be sure to visit MegaBites soon, as we have a further set of ‘mega’ exciting posts lined up, which you simply will not want to miss! MegaBites is pleased to announce an exciting new new development, one that sees its latest post taking place not on this site, but on RetroCollect.com. 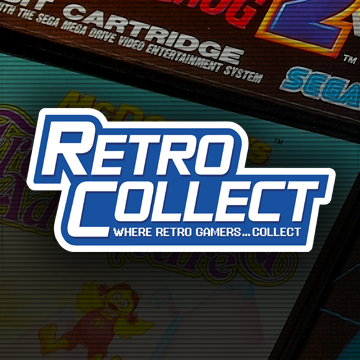 Featuring the latest retro gaming news, reviews, guides and podcasts, RetroCollect is also home to a bustling retro community – one that allows its members to share their gaming collections through the site’s extensive video game database. 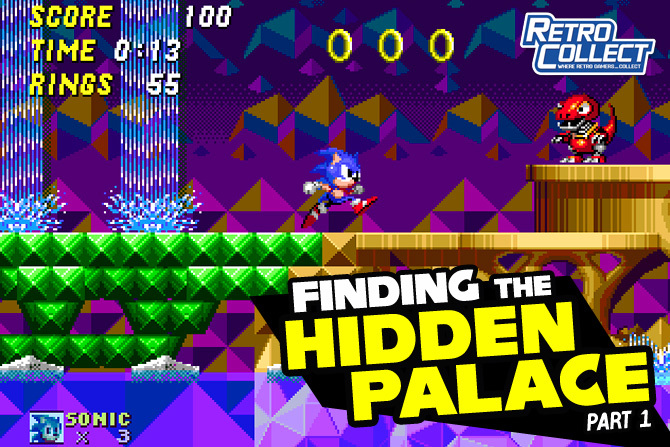 In the first of a series of articles to be featured on RetroCollect, MegaBites will be exploring the mysteries behind one of Sonic 2’s greatest secrets – Hidden Palace Zone. Designed by the minds at Sega Technical Institute, the tale of Hidden Palace Zone is one surrounded in riddle and intrigue. As a level that was never included in the original 1992 release of Sonic 2, the truth behind its existence remained closely guarded for years. From its earliest concepts, to beta releases, piracy ploys and a fanbase’s pursuit for the truth the Finding the Hidden Palace series charts the zone’s journey from obscurity, right up to its present day iOS/Android realisation. Be sure to look out for regular MegaBites articles on RetroCollect in the near future. Who knows, I may even go cross-platform! 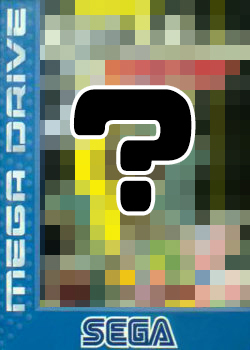 As ever, the MegaBites Blog will be right here for all things Sega Mega Drive, with some great content in the pipeline. You can read Finding the Hidden Palace – Part 1 in its entirety on RetroCollect.com. As you can imagine, MegaBites is pretty excited about the forthcoming release of Read-Only Memory’s Sega Mega Drive/Genesis: Collected Works. Rocketing past its Kickstarter target within 48 hours it reached a stunning grand total of £98,725 on the 9th December last year. Simply incredible. Since that time, MegaBites has kept a keen eye upon the developments, revelations and the quite literally game-changing secrets that the project has uncovered so far. From previously unheard of Sonic levels, to secret Shinobi bosses, Read-Only Memory has uncovered and revealed an incredible series of Sega secrets months before the book’s release. Read on as MegaBites documents some of the highlights so far. When it comes to unreleased levels, Sonic 2‘s Hidden Palace, Dust Hill, Genocide City and Wood Zone are right up there with the Sonic series’ legendary best. 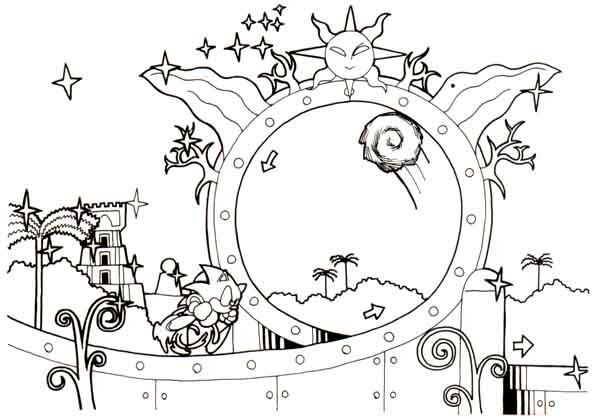 Each planned and ultimately dropped at varying stages in the game’s development, these unreleased levels exist only in reissued releases, development sketches and fragmented beta ROMs. MegaBites has just learnt of the passing away of Greg Martin, who died on the 21st May 2013. As a prolific and gifted artist, Greg was the man behind the EU/US box art of Sonic 2, Sonic 3, Sonic CD, as well as a host of countless other multi-platform video game classics. Beginning his career at Hanna Barbera, Greg worked on shows such as the Flintstones, the Jetsons, Yogi Bear and numerous other shows by the US animation studio. He was also credited as the creator and illustrator of the original Teenage Mutant Ninja Turtles cartoon series’ characters. Amongst numerous high-profile colleagues with whom he worked, most notable was Seth MacFarlane of Family Guy fame. In his later career, Greg worked for Sega, Nintendo and other video game developers, where he was responsible for some of the early-to-mid 90’s most iconic cover art designs. Each artwork was painted and airbrushed, measuring a huge 24–30 inches in height, taking just a week to complete – some in only 3–5 days! In July 2008, the metaphorical hammer went down on a rather unique eBay auction – one in which UK collector Stewart Greenwood parted ways with precisely £751.99 for, what has now come to be regarded as, one of the Mega Drive’s most sought after PAL releases. You’d be surprised to hear that this title was no limited edition box set, nor was it encrusted in gold. As a game that was originally pushed by Sega for a lightning-fast release, it sadly faded into oblivion at an equally rapid pace. As such, key information about this title has since been lost or shrouded in the utmost secrecy – until now. With exclusive input from the game’s Artist, Stoo Cambridge and Producer, Wallace Poulter, MegaBites presents the secret story of World Championship Soccer 2. Released to coincide with the 1994 US football World Cup, World Championship Soccer 2 provided the gamer with a tournament-accurate choice of 32 international teams. With options for fully customisable tournament lineups and team formations, the game also provided a 16-bit-tastic menu soundtrack and the very best in 90s in-match music. In a rather interesting touch, World Championship Soccer 2 also provided the opportunity to go back in time to relive the past glories/disappointments of the 1990 and 1986 World Cup tournaments. 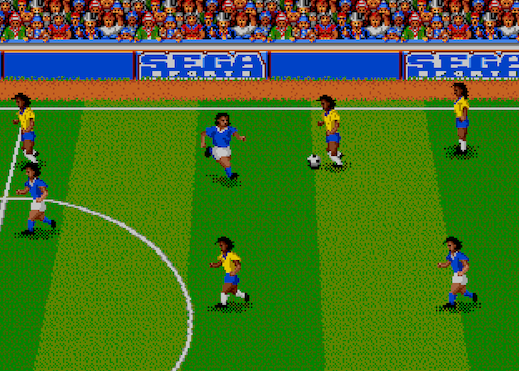 Although World Championship Soccer 2. Was branded under the Sega Sports name, it is a little known fact that the gaming super-giant had very little input when it came to the game’s development. A quick glance over it’s contributors reveals a credit for the ‘Mystery Chefs’ – a pseudonym that hides the true identity of the creative minds behind the game. But who were they? What do you mean it’s Christmas 2013? Where did 2012, 2011 and 2010 go? More to the point, whatever happened to the 90s? I was only just getting started! As fleeting as time may be and as swift as the passage of time may pass, Christmas 2013 marks a significant milestone here on the MegaBites blog – my 20th anniversary as a Mega Drive gamer. The 25th of December 1993. It my first day in ownership of the Sega’s black-boxed bombshell – a day overloaded by pixels, platformers and gaming perfection. Such a shame that my little brother got carried away with the sweets and vomited down the cartridge slot. But let’s not dwell on that little saga. As I pondered how I might celebrate this Christmas on the MegaBites Blog, I received a rather interesting Christmas request from a fellow blogger – one with a passion for a console that evokes such venomous rivalry, I can barely bring myself to write its name in full-sized text. This blogger was Julian Hill, the owner of BoxedPixels.co.uk – a website dedicated to the Super Nintendo. That’s right, the Super Nintendo. .
Boxed Pixels: MegaBites, my Sega-gaming nemesis, it’s Christmas once more – a time of goodwill and cheer to all. This in mind, I thought I’d transform you into Kris of Super Play fame. How do you like your new look? MegaBites: Kris? Super Play? Wasn’t that a Super Nintendo magazine? MB: Perfect, just perfect. Happy Christmas to me and a Merry Mode-7 holiday to you! BP: I see that this Christmas marks your 20th anniversary as a Mega Drive gamer. Any intention of getting your younger brother to mark the occasion as he did in 1993? BP: You leave my majestic white box alone! MB: You see, although the unfortunate events of that Christmas still haunt me to this day, I fondly remember Saturday 25th December 1993 for one thing – the day my obsession for all things Sega Mega Drive began. That entire day was an epic 16-bit odyssey, one that ultimately shaped my future as a gamer and all round Sega obsessive. How was the 90s Christmas experience from across 16-bit enemy lines? BP: For me, Christmas was the one time I got to see my games on the big-screen TV – if you indeed consider 22″ to be ‘big’. Donkey Kong Country looked fantastic on it. You’ve heard of Donkey Kong Country right? BP: You know, it’s that game with pre-rendered graphics that would never have been possible on your beloved Mega Drive. MB: I’m sorry, I must have been too busy eagerly anticipating the blast-processing prowess of Ristar. That’s right blast-processing! BP: I’ll let you in on a little secret MegaBites, Donkey Kong Country was the last thing I ever got from Father Christmas. For that reason alone, it holds a special place in my heart. Why don’t you give it a go? MB: MegaBites? Nintendo? Are you mad?… Only if you promise me one thing. 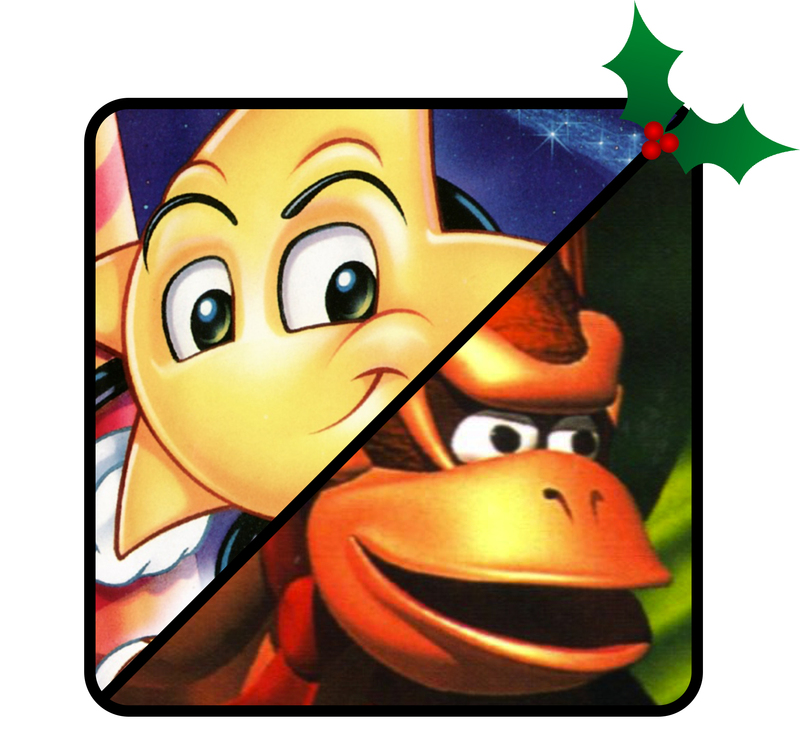 MB: I’ll play your Donkey Kong if you play Ristar and write all about it on this blog. Deal? Remember those dark days when all we had to communicate was the humble landline telephone, postcards, written letters, tin cans connected with string and walkie talkies that made those awful bleeping noises? Thankfully, those days are over and we’re graced by modern communication – smartphones, the Internet, social media and – more to the point – Twitter! “Beep!” Who was that? The eagle-eyed amongst you may have noticed a small menu on the right-hand side of this blog entitled ‘Mega Bites on Twitter’. 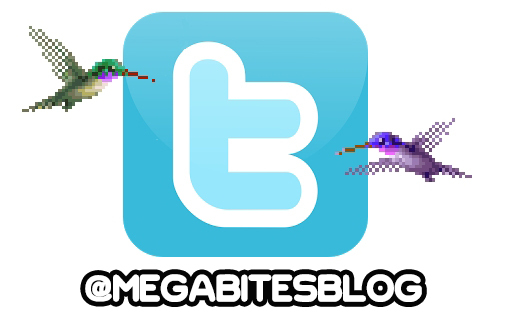 Essentially, it’s a live feed of the @MegaBitesBlog Twitter account and I welcome you all to come and follow. 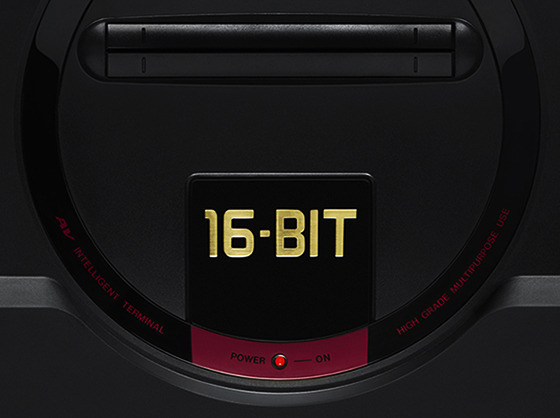 Followers can expect daily Mega Drive chat, retro gaming ramblings and news of the latest developments concerning Sega’s 16-bit super-console. Just don’t go expecting updates of what I had for breakfast that morning*. 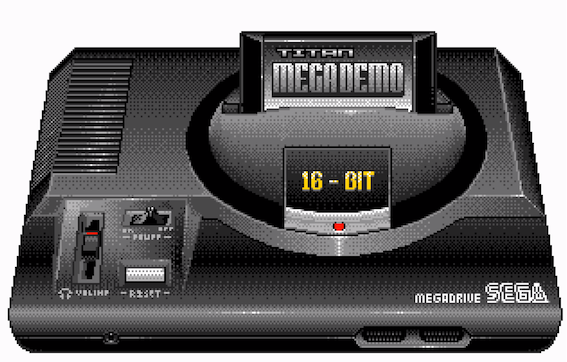 MegaBites Blog on Twitter – All things, all memories, all Sega Mega Drive.